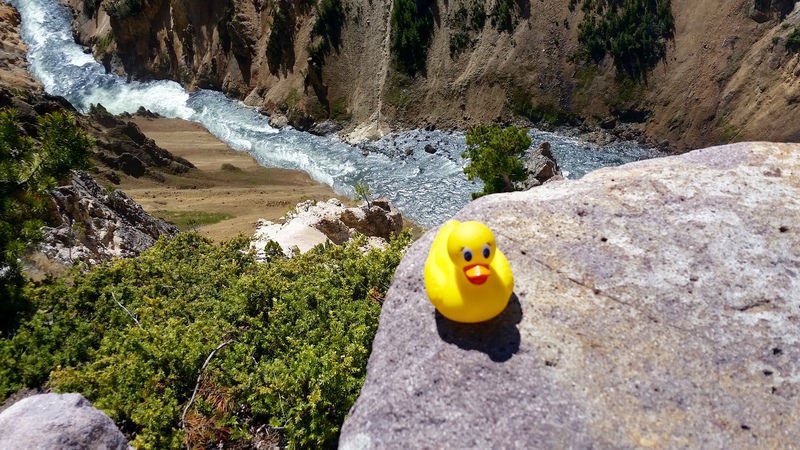 Ms. Ducky, our friend, took a great vacation. 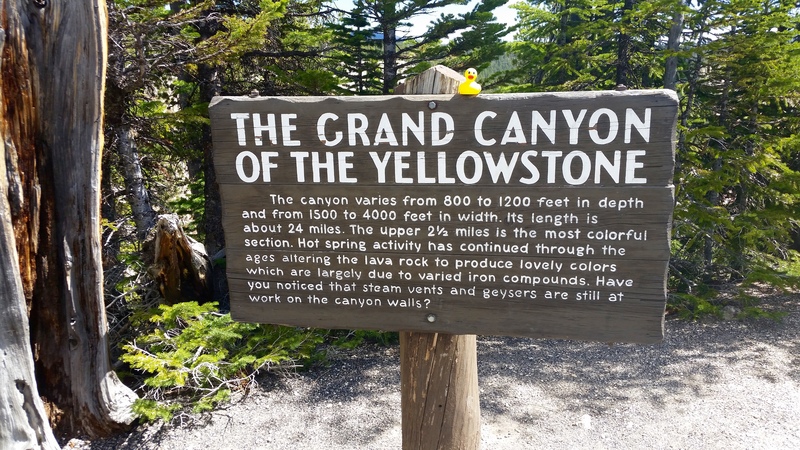 She and her humans went to Yellowstone National Park. In 1872, Yellowstone became the world’s first national park. Yellowstone has so much to see. 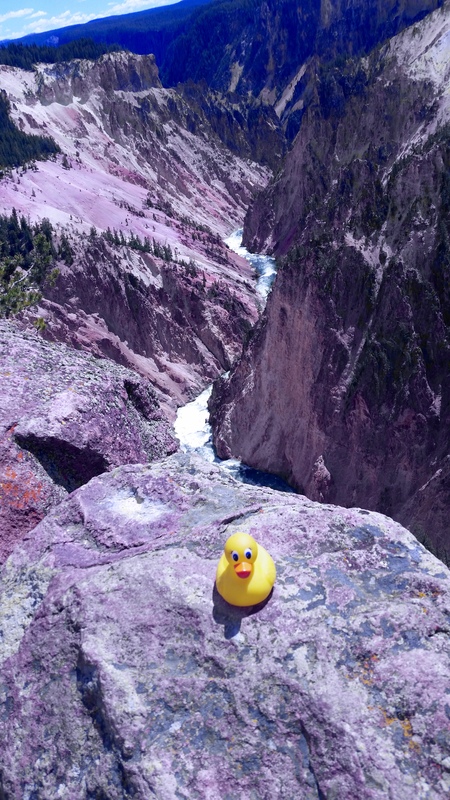 First Ms. Ducky took her humans to the Grand Canyon of the Yellowstone. The river cuts through the rock. The color of the canyon walls is caused by heat and chemical action on gray and brown rhyolite rock. Oh, those waterfalls are perfect. 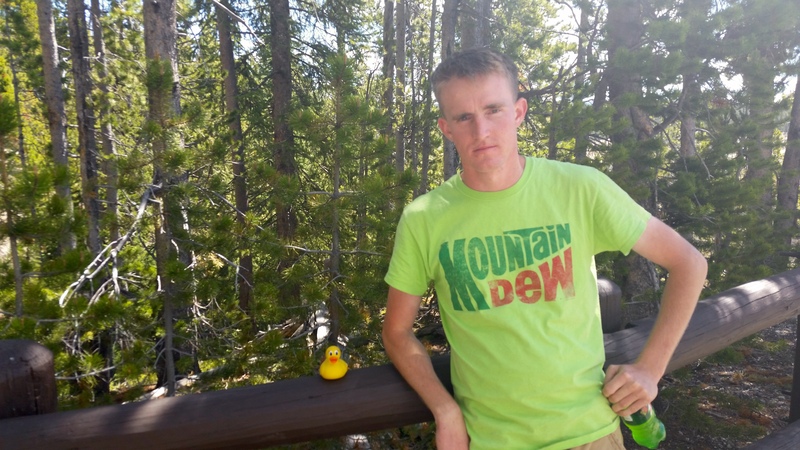 Ms. Ducky was happy to see this human. This Joe. He is a US Marine and she does not see him often. 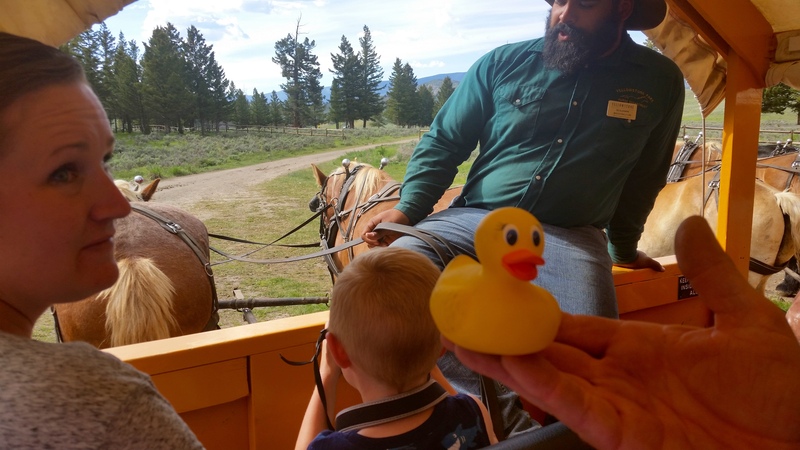 Ms. Ducky had her humans ride this wagon. Where are you going, Ms. Ducky? 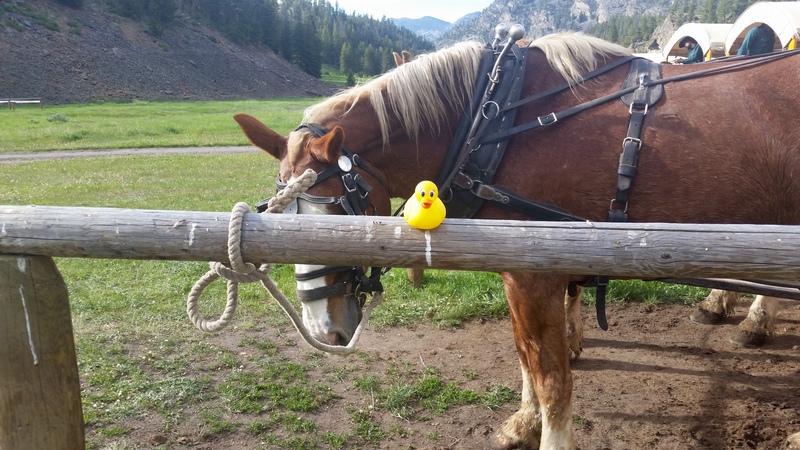 The horse seems to like Ms. Ducky, too. 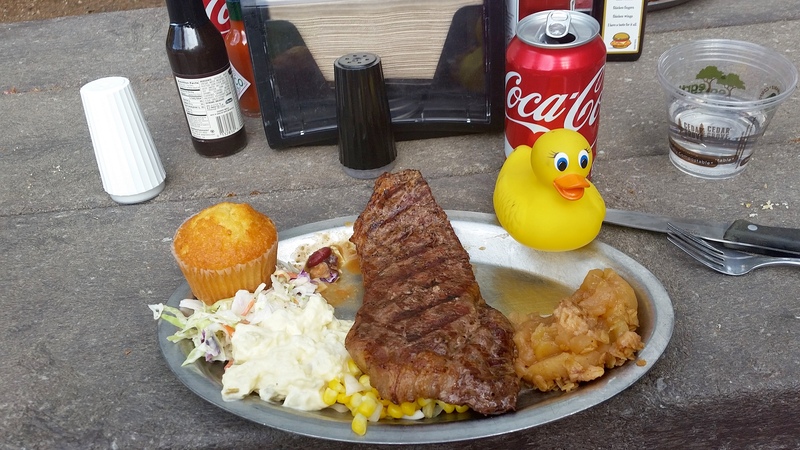 After the wagon ride, this dinner was served. Makes me hungry. Now we know where you were heading while on that wagon. Great choice! 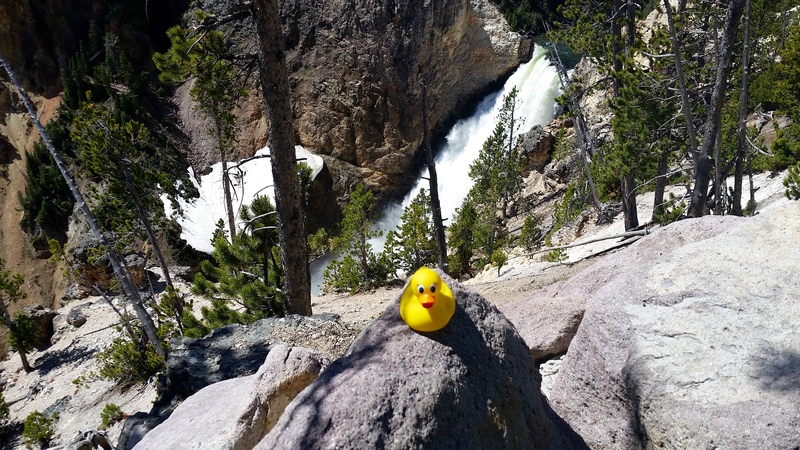 Thank you for sharing your photos, Ms. Ducky. Yellowstone National Park is beautiful. 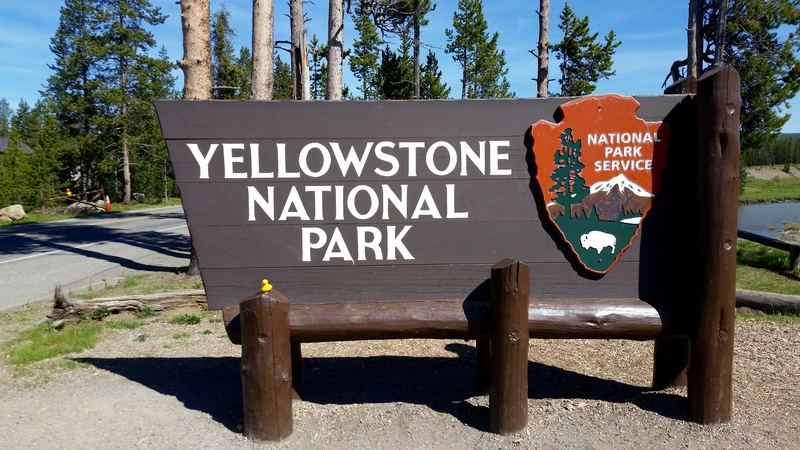 Next time she will show us a different area of Yellowstone National Park. 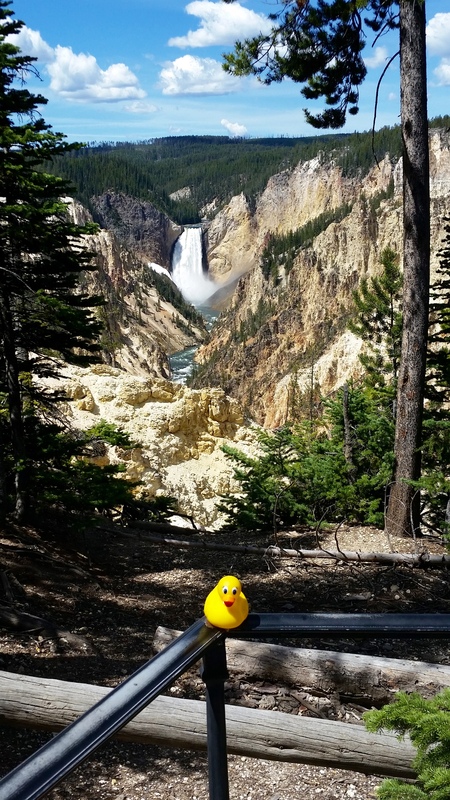 This entry was posted in Uncategorized, Wyoming and tagged Colorado Traveling Ducks, Grand Canyon of the Yellowstone, horse wagon, Ms Ducky, Wyoming, Yellowstone falls, Yellowstone National Park. Bookmark the permalink. Wow, that canyon is amazing. Looking forward to seeing more. She sent us beautiful photos. We want to go there next year, too. Thanks for reading and commenting.